The Affluent Society is a wonderful introduction to post-scarcity economics. John Kenneth Galbraith never (as far as I could tell) used the term in the book, but as I understand it “post-scarcity” and “affluence” are synonymous. He wrote the book over a decade after the Second World War ended and when the United States had come as close as it ever had to eliminating poverty thanks to government spending (outpacing many at the times openly socialist nations) and powerful labor unions raising the demand in the economy. 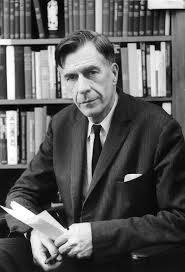 Although Galbraith had initially began working on a book about poverty in 1950s America, he ended up writing about the mainstream prosperity. In way of summary, we can identify three major arguments that Galbraith makes in the book. First, the classical models of economics are all wrong for the modern era. A major fault of economists is that they hold onto theories as scientific truth, but economics is not like physics. Knowledge does not change because we identify a deeper truth that complements and builds on earlier models. Economics laws actually change, and they change quite often. The major transition that Galbraith discovered was from economics of scarcity to economics of affluence. The classical theories—the conventional wisdom—was rooted essentially in a world in which there was not enough food, clothing, shelter, and other necessities to go around. The iron law of wages of Ricardo and the Malthusian trap are all rooted in this age of pessimism. The idea that there must be inequality, that the working poor must live miserable lives, that governments must save every penny, or that consumer demand is invariable an immoral drive are all rooted in these classical theories. These very theories made it difficult for economists to objectively see the way the affluent society worked. To comment on this, I think Galbraith is essentially right about the inapplicability of the classical theory to the 1950s or to our world. The first 100 pages of the book works as a wonderful introduction to the history of economic through from Adam Smith until Keynes. I am also glad to see Galbraith takes on the moral question. Much of American history involved moral anxiety about spending. This may have had its origin as early as the American Revolution. The second argument is that when affluence is reached in a society, production will no longer be serving objective needs. Instead it will increasingly serve manufactured needs, or desires transformed into needs. Galbraith does not want to be moralistic about. He knows very well, a need can easily change over time. A cellular phone may be a need now, but no one would really see it as an objective need. Most of us can remember a world without them. We could have just as easily created different needs, but they would be no less essential. More difficult to avoid is the filling in that extra productive capacity with additional goods. A reduction in the work week, or pulling people out of the labor force, was not seriously considered (although Galbraith takes on these potentialities as a response to post-scarcity). I will deal with this a bit more below. In the main, what happens is that the extra productivity gets filled in with an entire ensemble of manufactured goods for while a market must be created through advertising. The third argument is relevant to something that we experience all the time in the squeezing and starving of the commons, while there is a great exuberance of private, commercial space. Notice that Galbraith was writing at a time when public spending on the military, roads, and public works was still quite high, coming out of the New Deal and during the Cold War. Tax rates on the wealthy were very high and in some Western states (as I recall) public spending accounted for almost ½ of all income. Yet even when he was writing this at a time of heavy public sector spending, Galbraith noticed an imbalance between the public and the private. Roads crumble, schools decay, police forces are fractured and underfunded, and public space evaporates. At the same time, the private sector provide the sleekest, newest, forms of frippery. A good example of this may be the poor conditions of public libraries alongside a new Barnes and Noble. The availability of public gathering places decline when Starbucks opens up new branches, offering a crude simulacra of community. It is like we are awash in placed (commercial, private, the domain of capital) yet we have no spaces (communities, public space, political forums). I can understand that for many leftist, liberals like Galbraith may seem not relevant or worse (it is hard to read his praise for police without making note), but he does get right to one of the central points of modern anarchist struggle, the recreation of public space and the commons. I think The Affluent Society still has much to teach us and it is striking in how it holds up, even though he would be the first to acknowledge that his “conventional wisdom” will soon pass when new facts present themselves on the ground. I do want to make a major criticism, however. Galbraith is largely writing from within the gated community of the United States. The US itself had pockets of extreme poverty (something he mentions in passing a few times), but was also sustaining a global system that enforced scarcity on much of the world. This is still the case. We may be in a post-scarcity world, even at a global level. I have no doubt our productive capacity could easily provide enough food, clothing, shelter, and the basic needs of a meaningful life to all people, but this does not happen because of the walls that have been built up by empire. Galbraith is not interested in the global situation. He is writing about the affluent society from within its borders. Today we have a potentially global affluent society, but in practice it is only local, existing in pockets around the world. Galbraith gets fairly close to making a case for a universal basic income as one solution to the inequality in an affluent society. There is no longer any reasonable reason to expect everyone to work for their daily bread, if what most of what is being produced (again within the boundaries of the affluent society) is nonsense. He starts with the modest proposal to eliminate all juvenile labor, filling it in with publically-funded higher education. With the universal basic income being one of the more interesting and potentially liberating ideas coming out of the left these days, I think it is important to point out that Galbraith was there in the 1950s. He gets there by the simple step of realizing that a great aggregate leisure in society is not necessarily worth less than a few thousand more new automobiles or a few million more paper weights. This entry was posted in Capitalism, Class Conflict, Consumer Society, Economics, History, Library of America, Political Thought, Technology, The State and tagged 1950s, affluence, basic income, conventional wisdom, economics, john kenneth galbraith, post-scarcity, the affluent society. Bookmark the permalink.